NextGen.Net’s new ApplyOnline app is taking the third-party channel by storm. The group’s sales director Tony Carn reveals exactly what the technology can do for brokers. Launched at the beginning of March, the NextGen.Net ApplyOnline app is a new tool that supports our market-leading electronic lodgement solution, ApplyOnline. We were very conscious of the need to develop an app for brokers on the go. Today, brokers spend far more time with their smartphones or tablets than they do their desktop. So we have launched the first iteration of the app, which is primarily a visibility tool. The real benefit of the app is that it gives brokers a full, consolidated view of their loan portfolio and a timeline of the status updates of all the loans they are processing with every lender. Brokers simply need to download the app, login to ApplyOnline on their desktop and link that account to their phone number and the app. For brokers who choose to lodge an application with a lender directly via ApplyOnline, they can register all lenders’ logins with the app and receive a consolidated view of their applications. - One login. Brokers simply link all their ApplyOnline logins they have on their desktop, and the ApplyOnline app will consolidate everything together. - Brokers can track all their milestones and events in a single feed. - Brokers have the ability to search for a specific application by entering the name of the client. - Ability to “favourite” certain applications. For example, a broker may want to keep a close eye on deals over $1 million, so they can go through and favourite those and receive a smaller feed with updates on those specific deals. - Manage push notifications. Brokers can manage which status or event they want notifications on. These updates are far more detailed than the SMS updates brokers typically receive from lenders. We give them more information, which helps them manage what they need to do next. By helping brokers better manage their processes, the app will allow them to build stronger relationships with their clients and update them regularly on the status of their loans. Right now we’re building the next version of the app, which will allow brokers to send their push notifications to borrowers. The next iteration will be a much bigger one, with plans to allow brokers to photograph documents and attach them to the relevant loans. We have been receiving feedback since we launched the pilot version in January and we’re moving quickly with further developments of this tool. We want to be consistently adding to it and building out the functionality into the future. We have biannual technology workshops with broker groups. Most of our innovations are run closely with broker groups before we get to the pilot phase. During the pilot phase, we engaged with brokers and used their feedback and adapted the app. So we can act and react really quickly. For example, one broker suggested that the app include a filter to look at deals at a certain status like unconditional or conditional. So we added that before we updated the app in March. 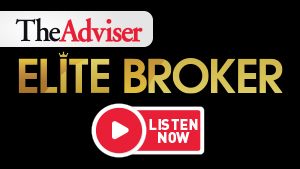 We saw a spike in downloads, with about 500 brokers using the app after just two days of digital marketing through The Adviser. The feedback to date has been great, and a lot of brokers are talking about it. We see technology as an enabler, rather than a disruptor, to the third-party channel. Face-to-face is one of the key values a broker provides – but creating the ease of processing is what we do best. The benefits to brokers are clear but lenders are also seeing the advantages, particularly around the app’s push notifications. Lenders are very supportive of the ApplyOnline app as it will also improve their own efficiencies. If a broker can get real time information they need when they need it, a phone call to the lender won’t be required. We’ll keep you updated on the next phase of the journey and welcome your feedback on this exciting innovation. The ApplyOnline app is available for iPhone, iPad and Android devices in the Apple App Store and Google Play.